The iPhone will not sync to Outlook or allow you to sync with other 3rd party PIM applications. It will not allow you to view or edit Office documents. 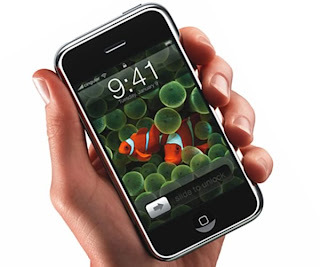 iphone only responds to skin touch with no fingernail or stylus response. Can only be used with Cingular (maybe for as long as 2 years). It has a closed Mac OS X variant operating system. It has no memory expansion slot. Currently the iphone has no voice dialing capability. The 8GB memory can be a bit too limiting and if it has to be a complete multimedia device this kind of memory won't be enough. Since there are no physical keys and only the touch screen feature it can be very limiting for people who are on the go, especially the ones who are driving. The above information was gathered from Matthew Miller's article he posted at his blog. He also gives a comparison of the iphone with the Nokia N95 and Cingular 8525. It is a very informative reading. I suggest people who are inclined towards shelling out that US$450 read his article and get some insight before making that decision. New Blogger related tips and links. Here are some tips and useful links I gathered from the web which would be helpful to the bloggers who have started using the new Blogger. 1. Christine's Blogger template: This webpage is maintained by Christine. Check this page if you want to have a customizable Blogger template for the new Blogger. Each of the template costs $15. Then change 'true' to 'false'. Save the template and go to 'Page Elements', now the button 'Remove Page Element' in Header should appear. The credit for this idea goes to Pinzón Azul. How to add picture to beta blog header. How to customize your header. How to insert banner link to your blog. How to add banner link in footer. How to add widget to provide button link to your blog. 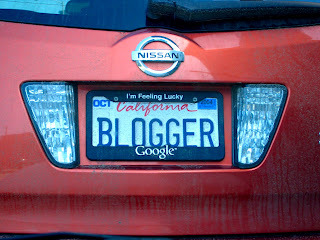 I hope these links provided here helps the bloggers to have a cherishable blogging experience.